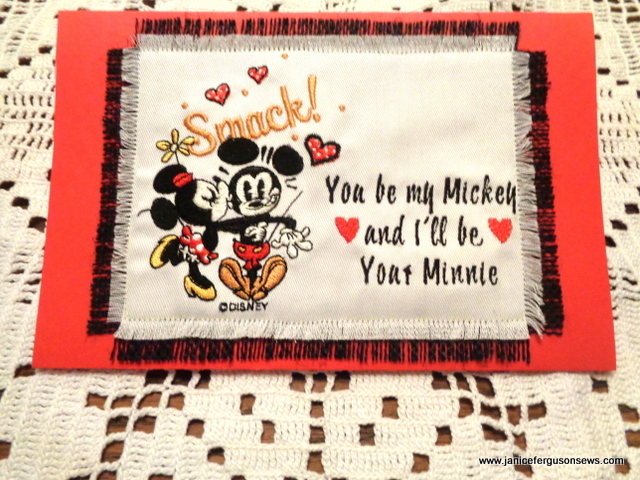 First, let me wish you a happy Valentine’s Day! 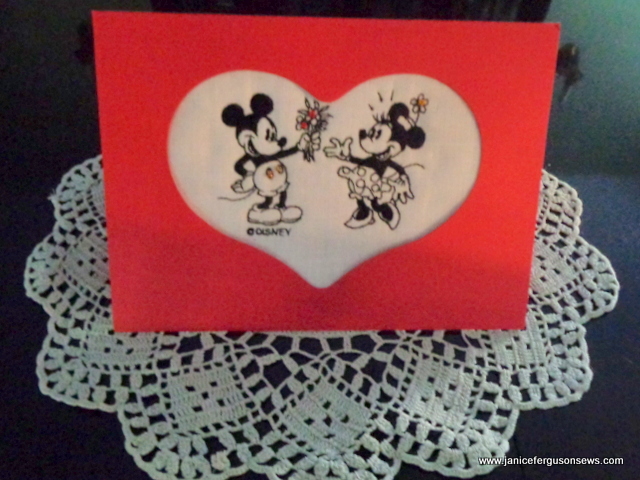 My latest post at Brother’s blog Stitching Sewcial is all about embroidered cards, specifically Valentines. I wish you all joy and happiness on this special day of love. More are posted. I had a hard time stopping, since these are so much fun to make. 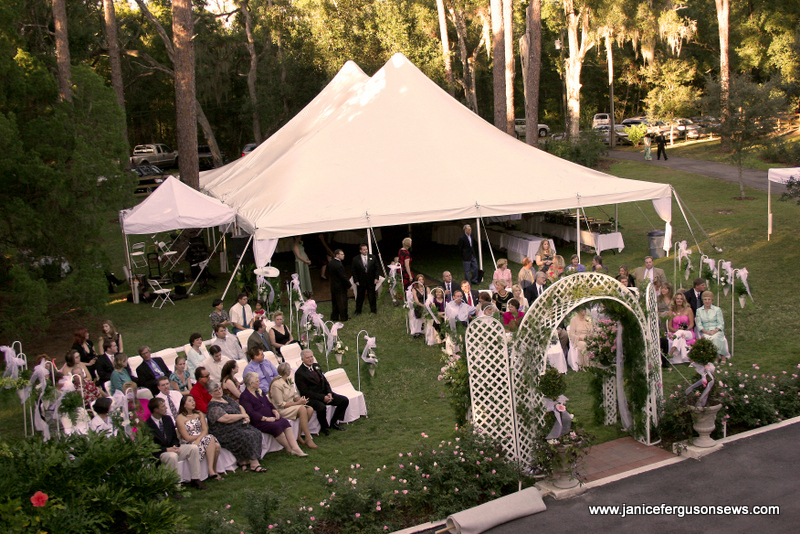 But much more has been going on since I last posted here at Janice Ferguson Sews. Of course, Christmas was pure joy, with both of our children joining us with all four of our precious grandchildren. It doesn’t get any better than that. Many gifts were stitched. Mug rugs caught my attention and I made several for my daughter-in-law, but didn’t manage to get a photo. These are so much fun and make great gifts. 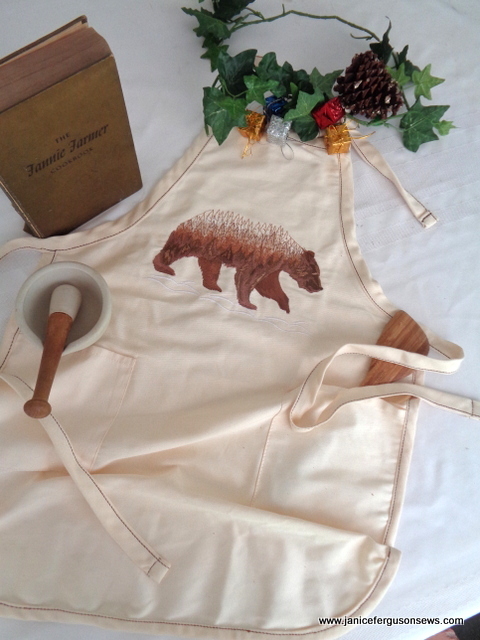 She is our nature girl and really liked the apron I embroidered for her with this fabulous bear from Urban Threads. I replaced the topstitching with brown thread. 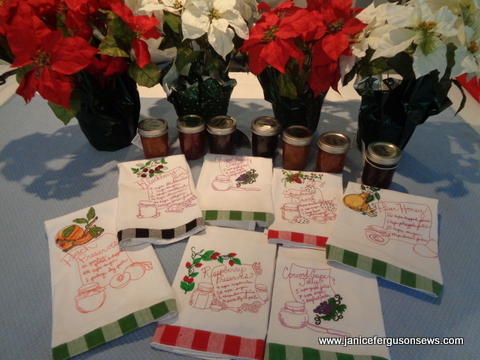 Many loved ones received my standard gift of dishtowels and homemade jams. Our precious church granddaughter Beatrice was a vision of baby beauty in her Old Fashioned Baby Christmas dress. Her headband had a feltie with a tiny deer to match her dress. Now, after months and months of worry and frustration, her adoption is complete and joy abounds. 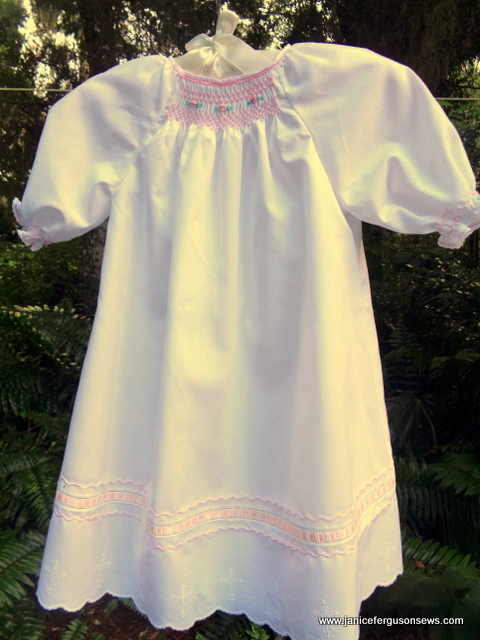 I really got into felties and made one to go with granddaughter Vivian Rose’s dress. 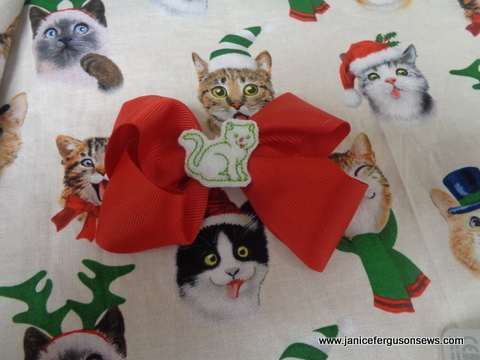 The stacked cats Christmas tree design is from Apex Embroidery designs. Their designs are great! The gifts below were added from various other sites. Cute white leggings with big red and green polka dots went with the dress, but I missed a picture of that. 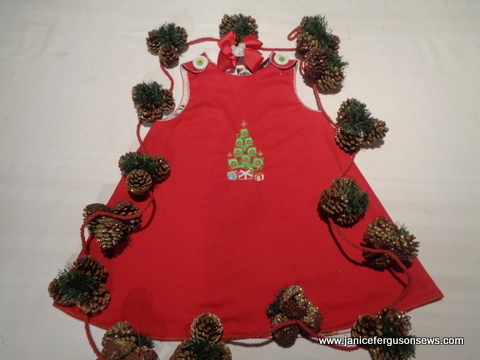 It was almost a repeat of last year’s smash hit Christmas frock but it was an enormous upgrade with the new lining. She wanted to wear it with the lining on the outside, but that was not allowed. 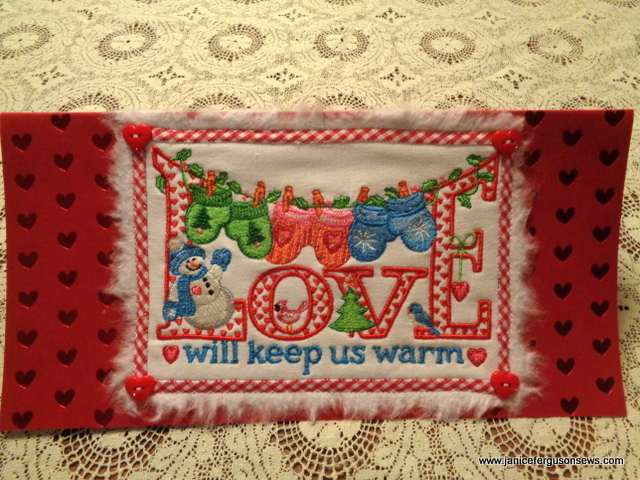 The whole feltie obsession came as a result of the felties offerred at this etsy site, Mommy’s Apron Strings. I downloaded the snowman and gingerbread boys (offered free for a short time) and attached them to 25 hairbows for all the little girls at church. Of course, I had to have something for the boys, so I made pencil toppers for them, using the same designs on the blank pencil topper included in the set I offered here. But did I take pictures? No! I was stitching late into the night and handed them out the next morning. The other winner Christmas gift was a set of two fleece quillows for my son’s twin Comanche plane, embroidered with just the tail numbers. He had asked for them and was so pleased! 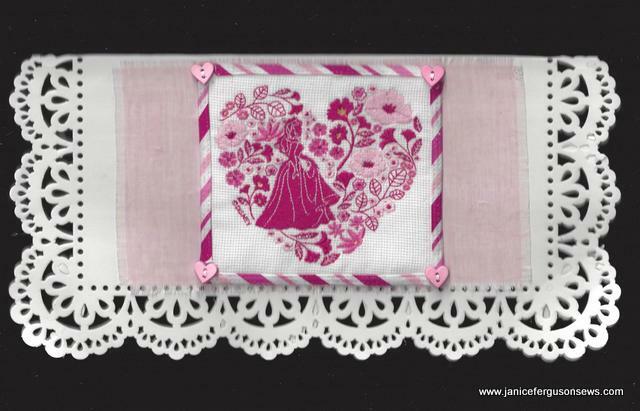 When I did my stitch rehearsal for the flowers, I couldn’t decide if I preferred the lighter or darker pink. So I alternated them and was pleased with the result. 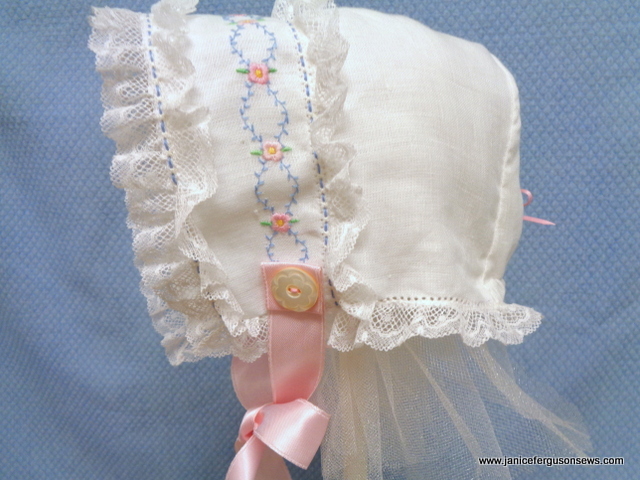 Who can resist gazing at a baby in a bonnet? 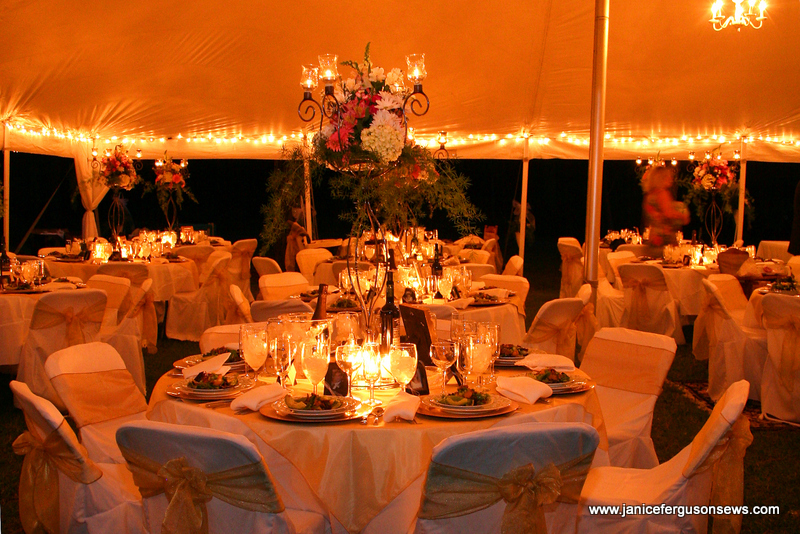 The site warms the heart of every mother, grandmother, auntie or friend. 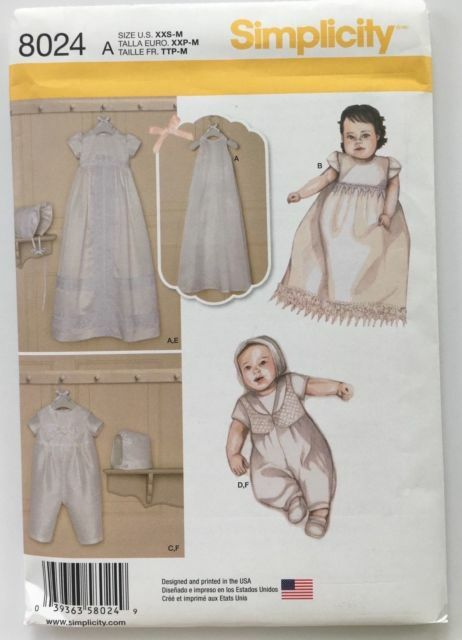 The pattern for this linen confection was included in Simplicity 8024, though it was modified greatly. 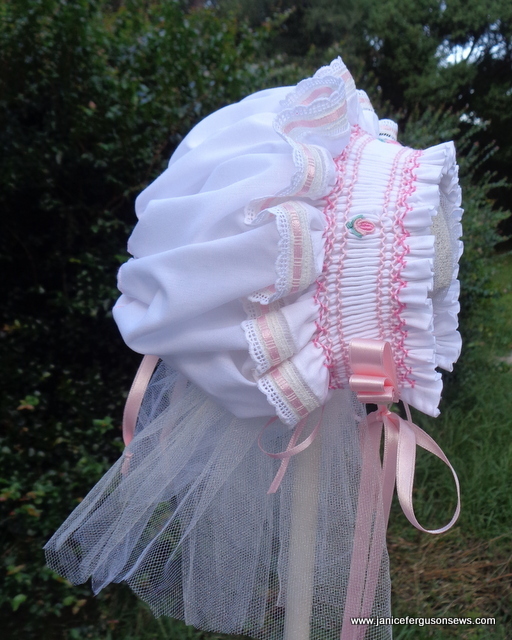 The addition of lace, embroidery, hemstitching, and sculpted antique pearl buttons on the ties removes this from the realm of boy caps. 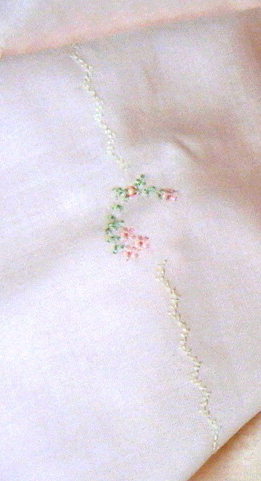 Embroidery floss was woven through the hemstitching holes to add a little more color. Swiss flannel with pinstitch joining lace to fabric. Pinstitch is woven with pink perle cotton. I can’t seem to stop thinking about Beatrice. She is the soon-to-be-born, soon-to-be-adopted baby girl whose waiting parents are active members of our church. So I sew. When she is in their arms, she will be wrapped in love, with or without this shawl. Soft, luxurious Swiss flannel is perfect for any baby. Especially here in Florida where winters are usually moderate, a tiny one dressed in this fabric can go out on the town without being bundled in a parka. 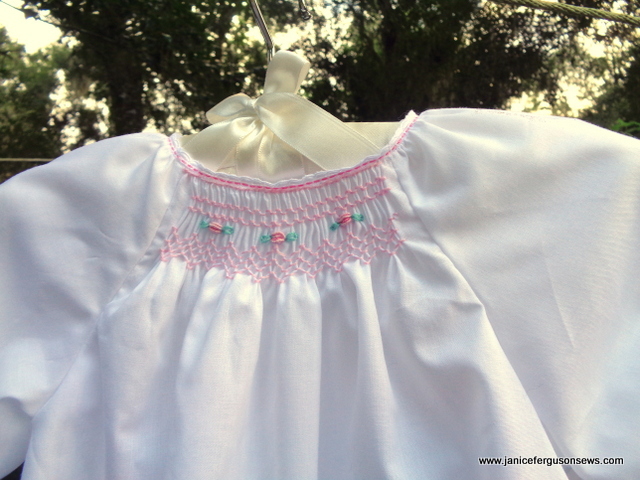 The blanket coordinates with a bonnet and smocked daygown featured in earlier posts. 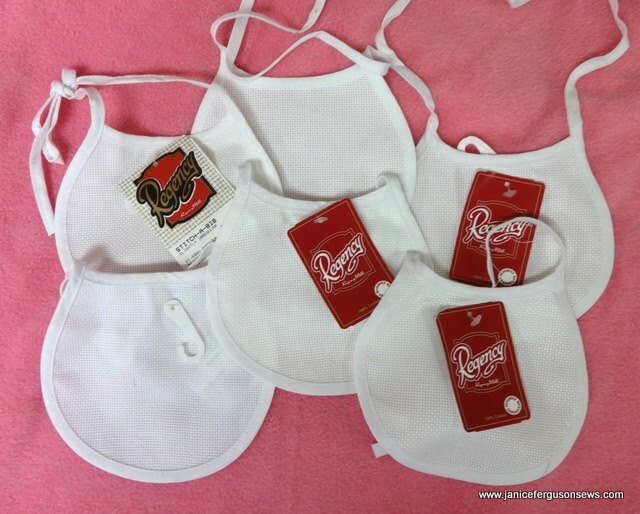 I hope to duplicate them for Baby Beatrice. Pinstitch and Swiss flannel go together like peas and carrots. The holes were perfectly clear and clean, as always, but were woven with perle cotton because I wanted a little more color near the perimeter. The lace edging is my favorite blanket trim as it can withstand heavy laundering and still flaunts its heirloom ancestry. 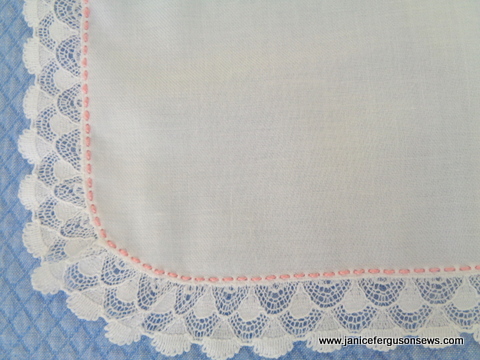 Six inches from the lace is a zig zag feather stitch frame, interspersed with embroidery. 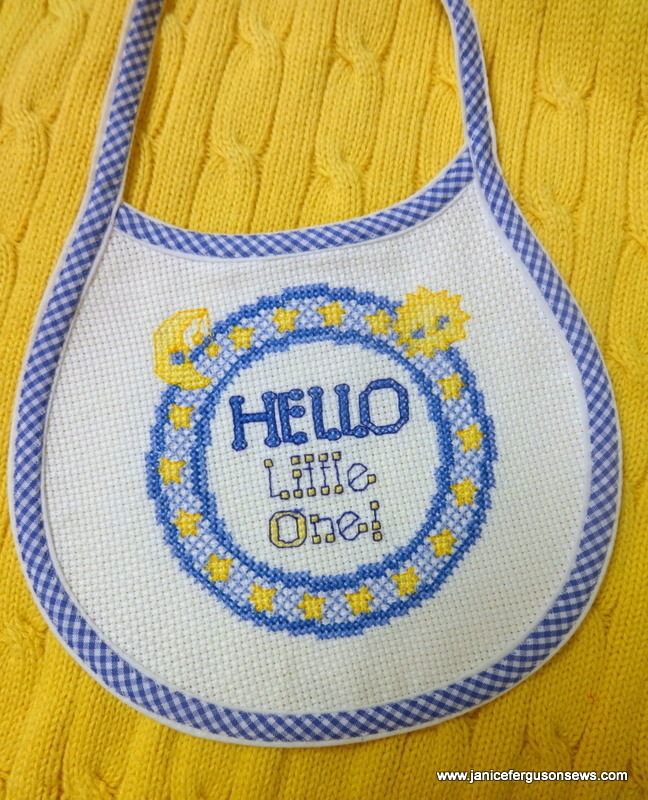 That stitch is worked in soft green, but I was unable to get a good scan of it. 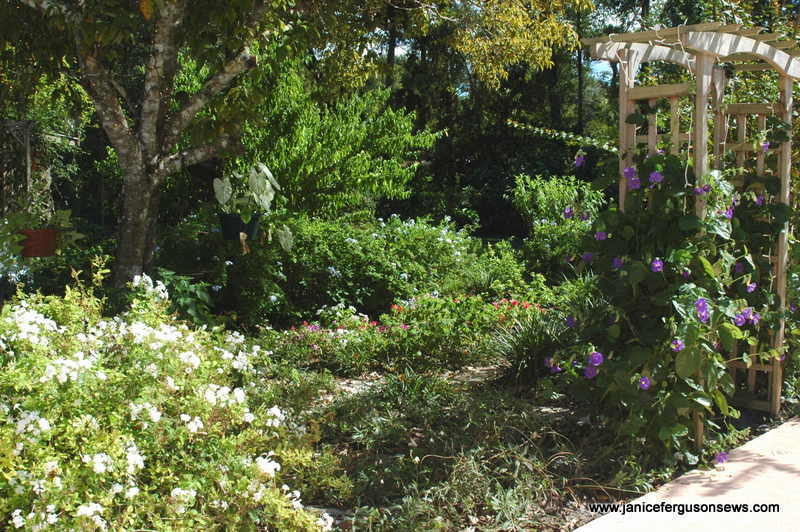 It shows up clearly in this photo from another project. With 30 wt. cotton thread, it works up nicely. 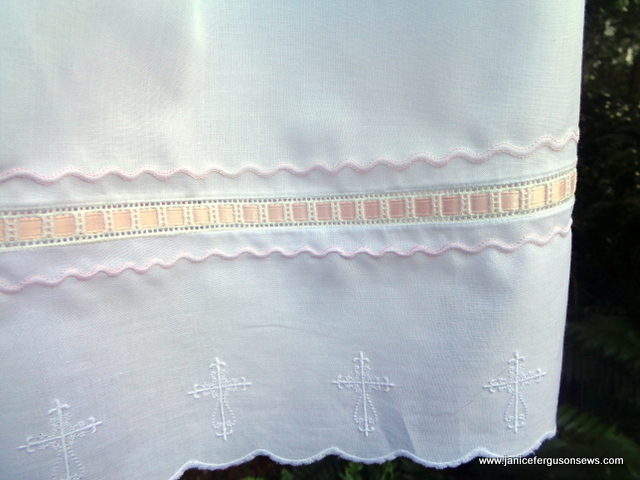 This stitch is one I designed several years ago in Brother’s exclusive My Custom Stitch feature. If you have a Brother machine which includes MCS, I would be happy to share it with you. Just leave your request at the end of this post. Balloons seem to say happy. I just love being able personalize items for special friends. 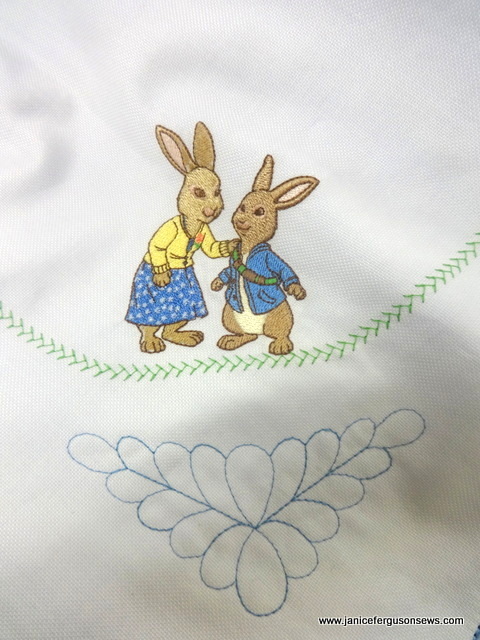 With two ready to wear onesies, two caps and a white tee for cover up, machine embroidery turned turn plain Jane into special so quickly. Pooh with balloons is a built in Brother machine design from. 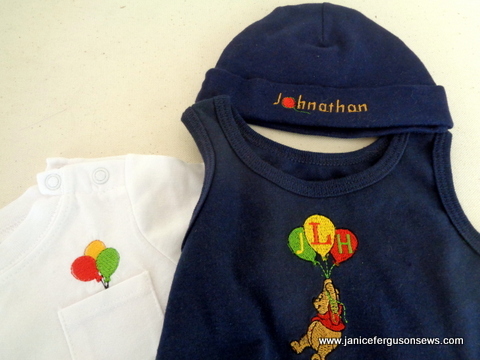 The balloons on the shirt and inserted into Johnathan’s name on the cap are from a discontinued Dakota Collectibles Toddler Trio collection, of which I found only one copy available on-line. 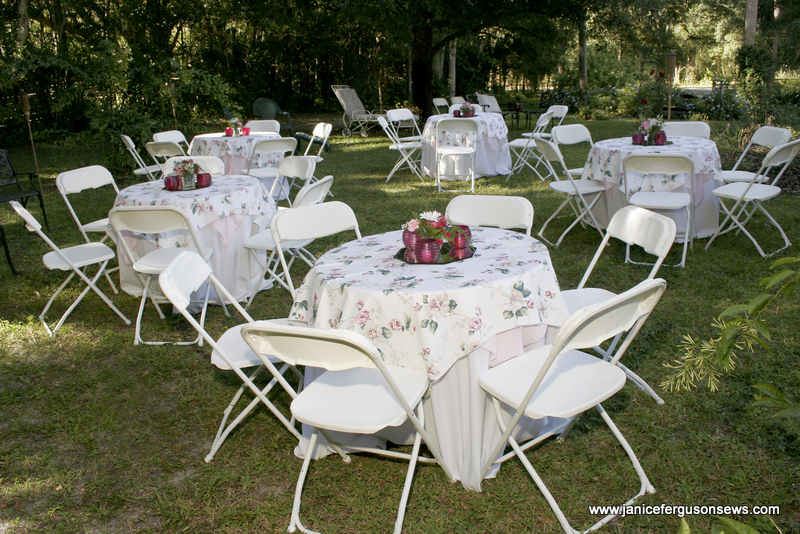 The designs are tiny, arranged in groups of three and are wonderful to extract when you need a small design. I often wonder why such collections are discontinued when they could be made available individually by digital download. I’m just glad I have this one in my design library. 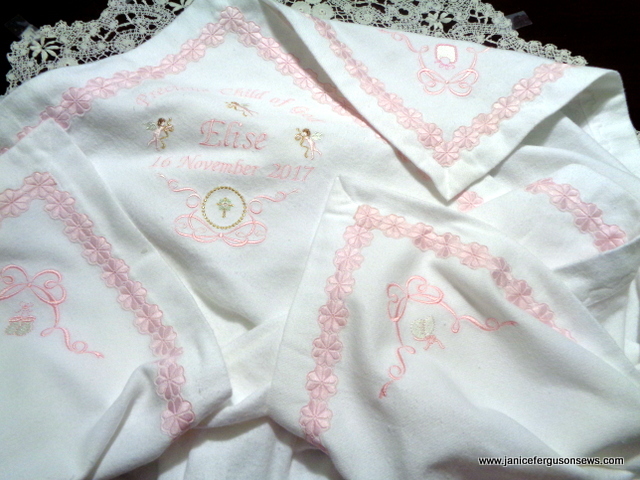 This set will be gifted at a baby shower for a precious young lady we’ve known since she was born. 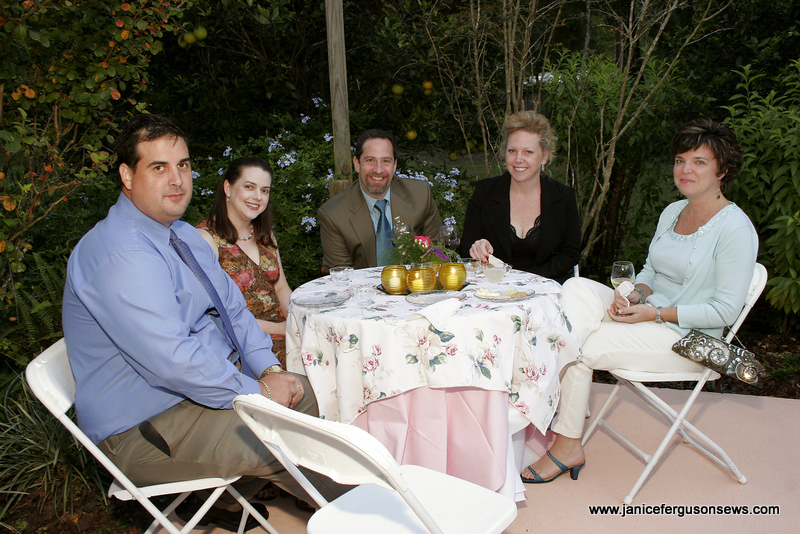 But it is not my gift–it is part of a set of items from her sister-in-law who asked if I could monogram them for her. When she said Melissa, the expectant mama, loves monograms I was so excited! 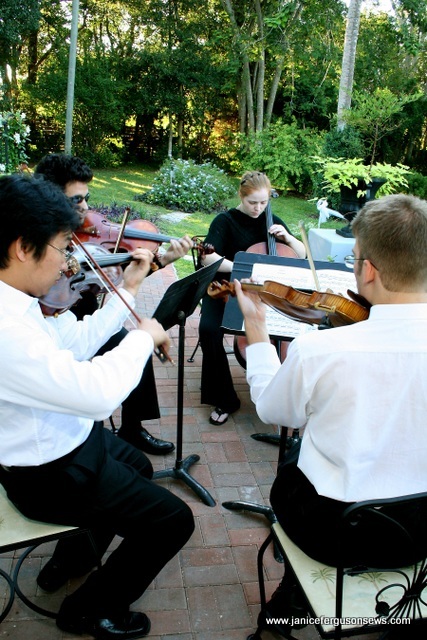 Melissa is a PlayGroup Kid whose mother has been a member of our 40 year-old sisterhood. 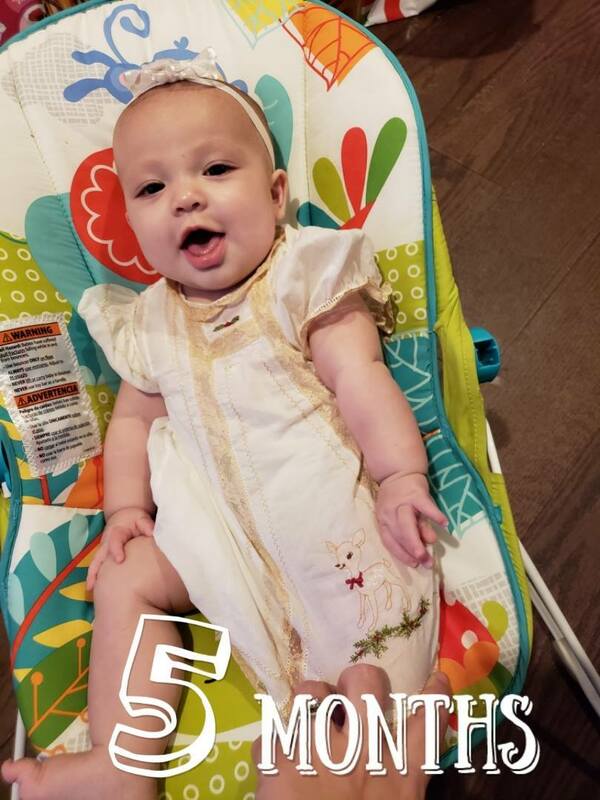 The youngest of the 23 PlayGroup Kids, Melissa and Justin were married almost 4 years ago and we have all been awaiting the birth of another PlayGroup grandchild. 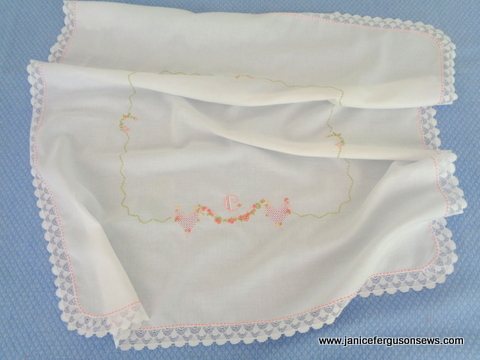 I expect there will be lots of other JHL monograms flying out of my sewing room. Though Johnathan is due in less than 3 months, his parents have not yet chosen a theme for his nursery. So I was given free reign to monogram at will. 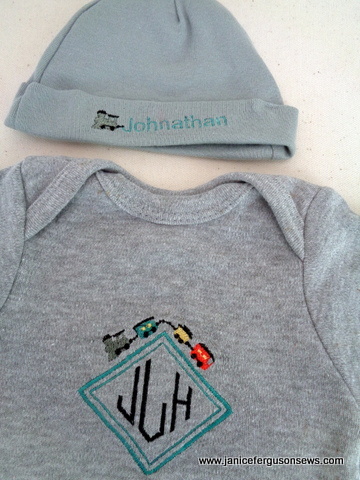 This is the second onesie monogrammed for Johnathan. Trains seem to be popular with all boys so that’s what I chose for the gray onesie set. I cannot recall where I got this design, but the 4-car train was edited in my software to turn the corner. Now I’m starting on granddaughter Laurel’s gift for her 14th birthday. I can’t wait to get started on this pillow with inspirational text. Recently, I altered curtains to fit her new bedroom and there were some large scraps. 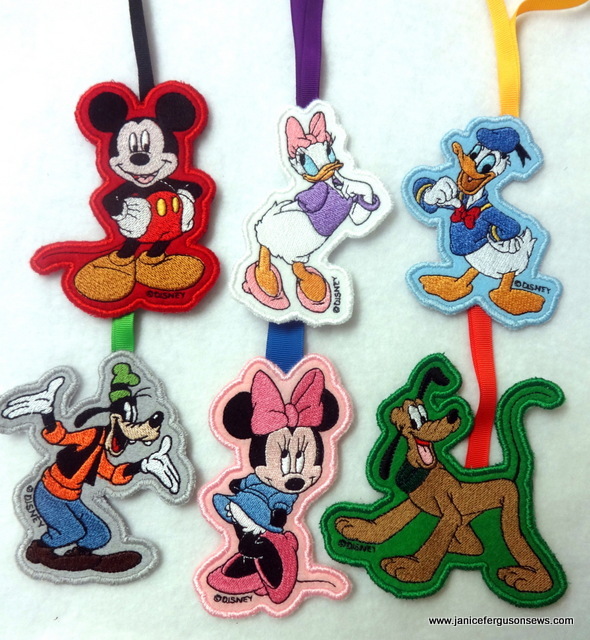 They will be included in the crazy patch pillow. But time flies. Just as I rush to get this finished and in the mail, I am amazed yet again at how this tiny baby has grown into a lovely young lady in the blink of an eye. Presenting a welcome gift to new babies at our church is a task I relish. 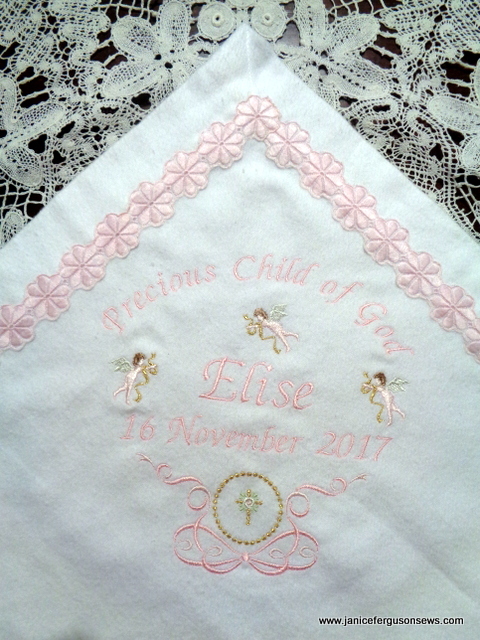 This purchased flannel blanket was embroidered for little Elise to wrap her in the warmth and the love of our congregation. I do so love babies! Just see how many are for sale on one site alone. 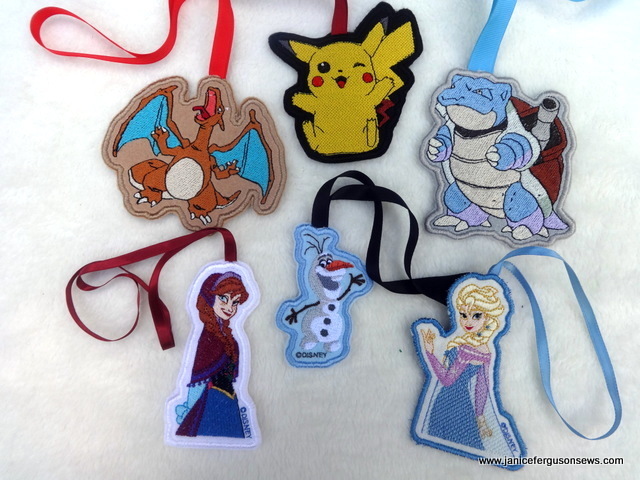 Would you like a tutorial on how these can be made on any embroidery machine? After embroidering 43 Pokemon Ninja headbands for our 6 year old grandson Alastair I made him a hanging embroidery with the text Pokemon. It hung from his backpack and was admired by his friends. When I offered to make more, he requested several to share with his Pokemon passionate pals. Eleven were made, some to keep and some to share. He is a kind-hearted, generous little guy who thinks of others far more often than I would expect from a kindergartner. His sweet classmate Maddie loves Frozen so he asked if I would make some for her. Laurel, his 11 yo cousin, has dubbed them Pack Pals. We’re re-modeling our kitchen. 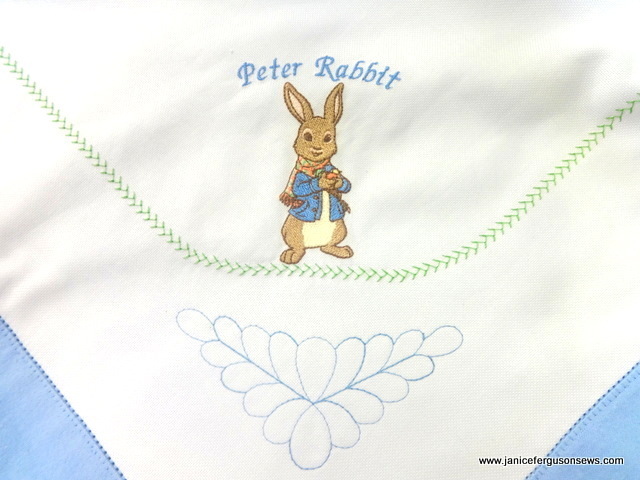 What, you might ask, does that have to do with a Peter Rabbit blanket? Let me explain. We have no counters, no kitchen sink, and until last week, no stove. Of course, breakfast and lunch are cold or prepared in the microwave and eaten on paper plates. For dinner, we have no choice but to eat out every night. 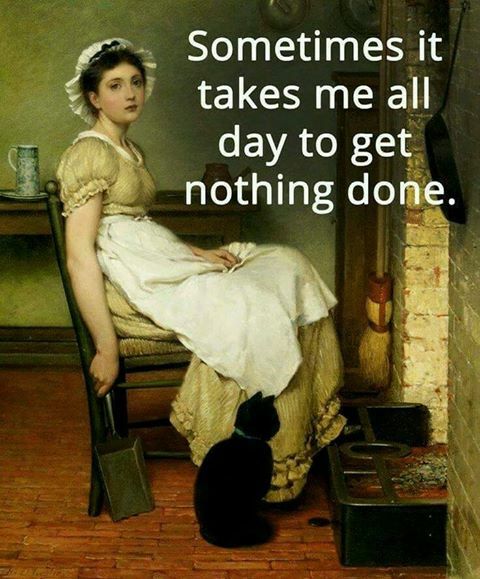 What a hardship! I told the kitchen guys to take their sweet time.